We can help you with Life Insurance Approval with High Blood Pressure! Have you been declined for life insurance due to High Blood Pressure? Can Individuals with High Blood Pressure Qualify for Life Insurance? Yes, most individuals with High Blood Pressure will be able to qualify for traditional life insurance, the type of insurance which requires a medical exam. 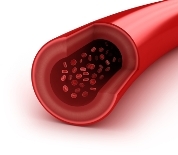 Severe Case – A poorly controlled High Blood Pressure presents severely elevated blood pressure readings and may be in danger of a hypertensive crisis. Another scenario would be the presence of obvious complications such as Coronary Artery Disease or Kidney injury. The best rating for these cases, if they will qualify would be a “Severe Substandard” rating or in worst cases a decline. Click here for a quote at “Severe Substandard”. 1. How many years since you were diagnosed with High Blood Pressure? Generally, High Blood Pressure that had been diagnosed for more than two years will show whether the condition is well, moderately or poorly controlled. 2. Have you experienced any severe symptoms within the last six months? Severe symptoms include blood pressure readings that reach as high as 190/100mmHg or higher. Severe symptoms would usually require hospitalization. These events are warning signals of a poorly controlled High Blood Pressure, which may cause a “Severe Substandard” rate or even a decline. 3. Are you taking any medication? The need for anti-hypertensive drugs is very crucial for High Blood pressure and compliance to these medications usually results to a well controlled condition. This could mean a “Standard” or “Mild Substandard” rating. Regular visits to your physician will prevent occurrences of severe complications like heart failure or stroke. Fewer complications for your High Blood Pressure will get you a better chance of a good rating. Recent laboratory and diagnostic tests like blood cholesterol level or ECG present the best ways to show your actual condition. This may also confirm your compliance with your medications and physician’s management. 6. Do you have the following lifestyle risks? High Blood Pressure is aggravated significantly by various risk factors such as smoking, poor diet, lack of exercise and stress. Chances are, if you have any of the following risk factors you may get a “Mild or Medium Substandard” rating. High Blood Pressure also known as hypertension (HPN/HTN) is a medical condition where there is an increase in overall arterial pressure in the body. The raise in arterial pressure increases the workload of the heart since it has to pump out more blood to supply the necessary Oxygen to the major organs in the body. There are two determining measurements used in High Blood Pressure; the systolic (heart during contraction) and the diastolic (heart during rest) pressure. High Blood Pressure is considered if a person’s reading is persistently at 140/90 mmHg and above. Both primary and secondary hypertensions may present similar symptoms that include headache, nape pain, dizziness, fainting episodes, altered vision, lightheadedness and ringing in the ears.